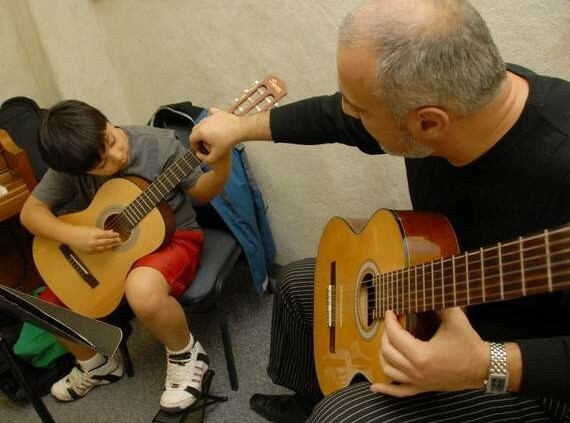 One-on-one Instruction on all instruments and voice for all ages and abilities. Lessons are designed to meet individual needs and have a comprehensive curriculum. All instructors are professionals and have college degrees. The experienced professional staff of forty-five dedicated teachers with advanced degrees in music consists of certified teachers and college professors, teaching their specialty instruments with an enrollment of approximately 1,000 students. Lessons start at 30 minutes once a week and can increase in 15 minute increments. Tuition is $144 per month for four private 30 minute lessons. Discounts apply to lessons longer then 30 minutes and siblings taking private lessons.